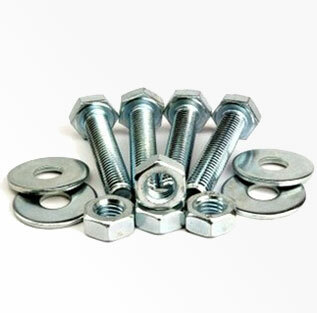 Inconel 601 Fastener stands out due to its resistance to high temperature oxidation, remaining highly resistant to oxidation through 2200° F. In petrochemical processing, the material of Inconel 601 Nuts and Bolts is used for catalyst regenerators and air preheaters in the manufacture of high-density polyethylene. But Inconel 601 Bolt and Inconel 601 Studs is not suggested for use in strongly reducing, sulfur bearing environments. 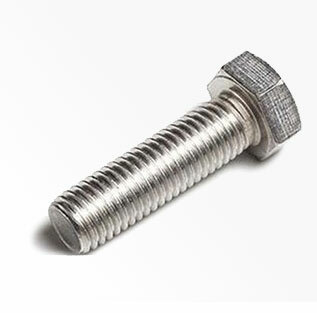 Alloy 601 Fastener is designated as UNS N06601 and Werkstoff Number 2.4851. Looking for best price of Inconel 601 studs and nuts in India? We have no minimum footage requirements. We will supply the exact amount of Inconel 601 studs you require even if it’s small quantity. 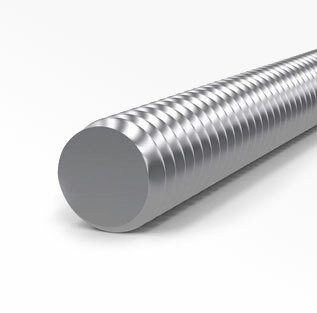 Contact Steel Tubes India- the right Supplier of Alloy 601 Bolt near you. Steel Tubes India is NORSOK approved supplier & exporter of Inconel 601 Full thread stud, Inconel 601 exhaust bolts, Inconel 601 turbo bolts, Inconel 601 Aerospace Bolts, Inconel 601 Stud Bolts, fixings, Alloy 601 Round Head Bolts, Inconel 601 Hex Cap Screw, Inconel 601 Dowel Pins, Inconel 601 Flat Washer, Inconel 601 Nuts, Alloy 601 flat head cap screw, Inconel 601 Heavy Hex Nuts, Inconel 601 anchors, inserts, Alloy 601 threaded bars, Inconel 601 Spring Washer and 601 Inconel hose clamps. We are stockist & distributor of Inconel 601 PTFE- Teflon coated fasteners, DIN and ISO Metric Alloy 601 fasteners & Inconel 601 hex bolts, Inconel 601 rivets, Inconel 601 m10 bolts, Inconel 601 threaded rod and Inconel 601 Double End Studs. Steel Tubes India is PED approved manufacturer of PTFE Coated Inconel 601 Fasteners, Inconel 601 Studs & Inconel 601 machine screws. 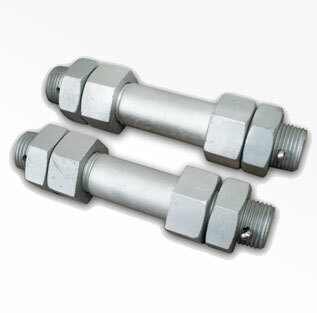 Check latest price list of Inconel 601 U-bolts and Inconel 601 structural bolts. Our Dealers & Distributors in Europe, Trinidad & Tobago, Singapore, Qatar, Ethiopia, United Arab Emirates, Oman, Malaysia, Kuwait, Canada, Australia, United States, New Zealand, United Kingdom, Germany, St. Helena, South Africa, India, Nigeria, Ghana, Hong Kong, Saudi Arabia, Philippines, Ireland, Pakistan, South Korea, Iraq, Norway, Finland, Egypt, Netherlands, Denmark, Iran, Kenya, Sweden, Thailand, India, Belgium, Taiwan, Greece & Indonesia arrange complete range of Inconel 601 Fastener & Alloy 601 Bolt in shortest time as well at best price, because we maintain Inconel 601 anchor bolts and Inconel 601 stud bolts in stock for sale which is available in many different ASTM grades including B7, L7, B16, B8, B8M, stain hardened and many more, so it saves time & cost to procure large diameter standard and metric fasteners & alloy 601 bolting materials such as Inconel 601 hex bolt, Inconel 601 metric nuts, Alloy 601 screws, Alloy 601 washers stock from any other vendor or Manufacturer of Inconel 601 High Tensile Fasteners in India. Steel Tubes India is also produce Inconel 601 aircraft fastening hardware like Inconel 601 self-locking nuts, Inconel 601 wind turbine fasteners, Inconel 601 anchor bolt and timber mat bolts (crane mat bolts), Inconel 601 threaded inserts and Inconel 601 high performance fasteners for aerospace and defense which can be plated in different platings, including zinc chromate, Hot Dip Galvanize etc. Inconel 601 socket head cap screw also known as an Allen screw or Allen bolt, or simply a cap screw conforming to ISO 4762 or DIN 912. Inconel 601 Dowel rods are often cut into short lengths called Alloy 601 dowel pins. 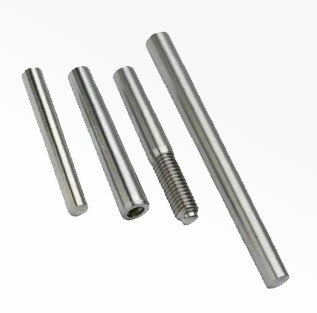 Our Inconel 601 threaded rod is steel rod with a metric screw thread along its entire length. Alloy 601 Threaded rod is ideal for heavy applications where a longer than normal length of alloy 601 bolt is required. Inconel Alloy 601 Threaded rod come in a variety of diameters and are sold in 1-metre lengths so you can cut them to the length you require. We have wide stock of Inconel 601 Hex Head Screws, Inconel 601 Flange Bolts, Inconel 601 Long Bolts (Cable Reel Bolts, Motor Bolts, Thru Bolts), Inconel 601 Place Bolt, Inconel 601 12 Point Bolt & Alloy 601 Hex Head Cap Screw. Compare our price of Inconel 601 Socket Set Screws with supplier of Inconel 601 Carriage Bolt in China. In Petro and chemical industry for flange connections Inconel 601 stud, Inconel 601 Stud Bolts and Inconel 601 Hex Bolts are used. Check our latest price list of Inconel 601 pins and studs, Inconel 601 Chain Pins, Inconel 601 Double End Studs & Inconel 601 Single End Studs & two sided fastening product, mail to stindia@stindia.com for best price of Inconel 601 Hex Washer Screws, Inconel 601 Six Lobe Screws, Alloy 601 Panel Screws, Inconel 601 Thread Cutting Screws, Inconel 601 self tapping screw, Inconel 601 Lock and Flange Lock Nuts, Inconel 601 Finish Hex Nut, Inconel 601 Heavy Hex Nut & Inconel 601 Hex Flange Nut in Mumbai, Chennai & Ahmedabad, Gujarat. 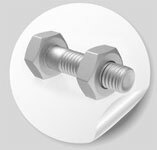 Our online Inconel 601 Bolts Weight Calculator allows you to calculate an estimate of the weight of different sizes of Inconel 601 Concrete Screws, Inconel 601 shoulder bolt, Inconel 601 allen bolt & Inconel 601 Threaded Screws based on dimensions, shape and size #4 through M75. Check below table of Inconel 601 Bolt, Nut & Screw sizing chart which shows nominal size and provides convenient weight data. Looking to buy Hastelloy Bolts ? Hastelloy Fasteners ? Origin of Fasteners are Western European. However projects with eastern origin are possible on request. Hex Head Bolt, Square Bolt, U Bolt, Eye Bolt, T Bolt, Hex Bolt, Lag Bolt, Counter sunk Bolt etc. 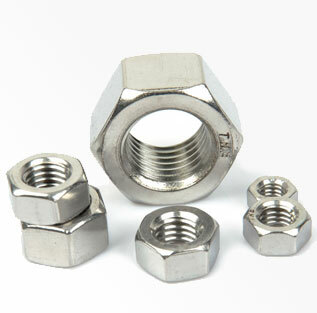 Hex Head Nut, Square Nut, Lock Nut, Eye Nut, Wing Nut, T Nut, Panel Nut, Coupling Nut, Dome Nut, Acorn Nut etc. Hex Head Screw, Socket Head Screw, Socket Set Screw, Anchor Screw, Blind Rivet, Concrete Screw, Threaded Screw, Shoulder Screw, Panel Screw, Machine Screw etc. Machine Washers, Star Washers, Lock Washer, Sealing Washer, Split Washer etc. Inconel 601 bolts hardness is that the Brinell Hardness is 150. The Ultimate Tensile Strength of Inconel 601 is 89900 psi (620 MPa). The Yield Tensile Strength of Inconel 601 is 65300 psi (450 MPa). The Rupture Strength of Inconel 601 is 6.89 MPa (1000 psi). Inconel 601 has a Magnetic Permeability of 1.003. The linear CTE of Inconel 601 is 7.639 µin/in-°F (13.75 µm/m-°C). Inconel 601 has a Specific Heat Capacity of 0.107 BTU/lb-°F (0.448 J/g-°C). The Melting Point of Inconel 601 is 2480 - 2572 °F (1360 - 1411 °C).